Fluid bed drying is a well-proven technology for use after wet mixing. 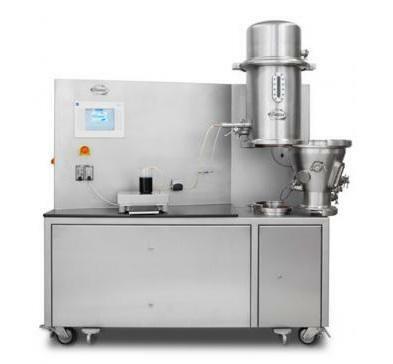 Fluid bed processing equipment from Diosna can also be used for granulation and coating of pharmaceutical products. In addition to the processor, a fluid bed plant requires peripheral equipment like inlet air technique, exhaust air technique and control. 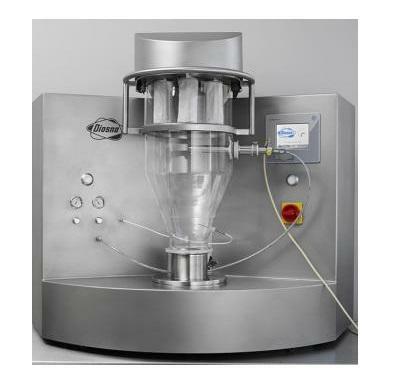 The Diosna Mini-Lab is a table-top fluid bed processor for efficient product processing, including drying, granulating and coating. The fluid bed offers greater productivity and flexibility in laboratory scale processing with a number of different batch sizes available. Glass components offer easy process monitoring. Volume ranges from approx. 50 g to 3,500 g.
Top, bottom or tangential spray processing. Four interchangeable containers of 1 litre / 3 litres / 5 litres / 7 litres. The Midi-Lab fluid bed is developed especially for R&D purposes corresponding to the functions of a production plant. It is suitable for a wide range of applications with numerous options for solvent operation, automatic feeding and discharging, and air conditioning systems. Optional glass or stainless steel bowls. Volume ranges from 1 kg to 10 kg. Optional top, bottom or tangential spray processing. Four exchangeable bowls 7 litres / 12 litres / 16 litres / 20 litres. Compared to other methods, fluid bed drying considerably speeds up the drying process. 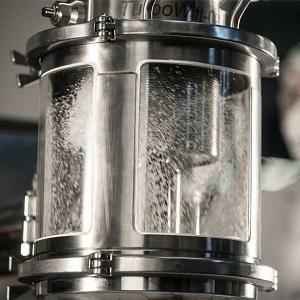 With the Diosna fluid bed dryer we offer an innovative system with optimised air flow, closed feeding and discharging systems, and a pressure-shock resistant design. Flexible changing between batch sizes due to the easy exchange of bowls. 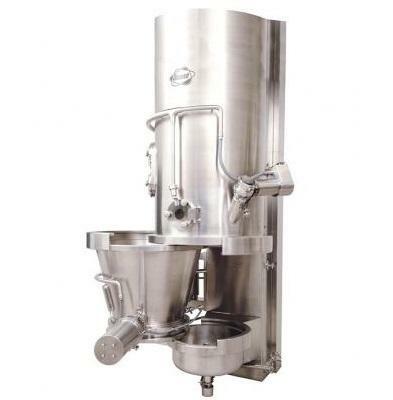 Batch sizes from 5 kg to 880 kg depending on product and process. Comprehensive WIP (Washing-In-Place) & CIP (Cleaning-In-Place) cleaning concepts available. Designed in compliance with GAMP 5.